An homage to a remarkable life and multi-talented artist through a selection of his work representing different periods in his life, including watercolour, sculpture, calligraphy and stained glass. 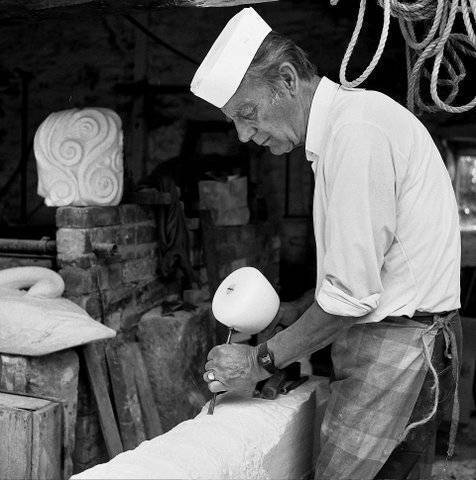 Plas Glyn-y-Weddw would like to sincerely thank everyone that has helped with the Jonah Jones exhibition, especially his family who have given generously of their time and loans; to the many individuals and organisations for other loans and to Portmeirion for supporting the striking publication that accompanies the exhibition. The adjoining contemporary exhibition and event programme are supported by the Arts Council of Wales and Gwynedd Council. Come and create a small panel to display in your home or give as a gift. Suitable for over 14 yrs of age. No experience necessary.